We don’t normally cover places this far from Portland but will make an exception for Syun. 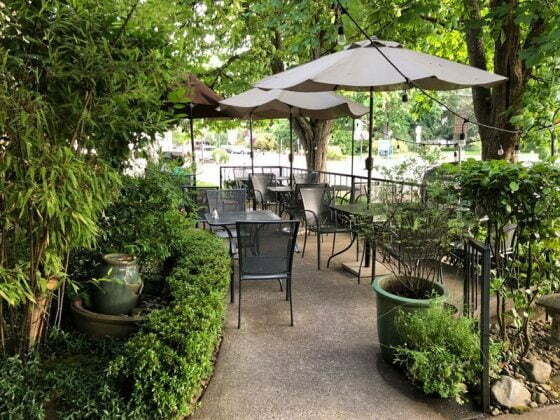 It’s in the downtown area of old Hillsboro, just a few blocks from Max. The restaurant is in the basement but has a nice patio under the trees in front of the old library. It is known for a huge sake collection and some of the best sushi in the metro area. If you want an adventure, jump on Max, spend some time wandering the quaint old downtown and fill thyself with sushi. The restaurant always places near the top of our Best Sushi in Portland reader survey. Not sure if they can handle wheelchairs as it is a very old building. Best to call first. 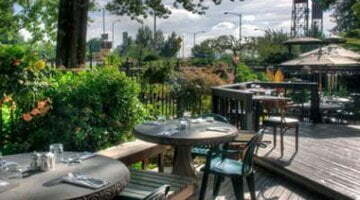 Open for lunch and dinner, with a break between the two on Saturday – Sunday. Category: Portland Outdoor Dining. Related posts about Syun Restaurant.